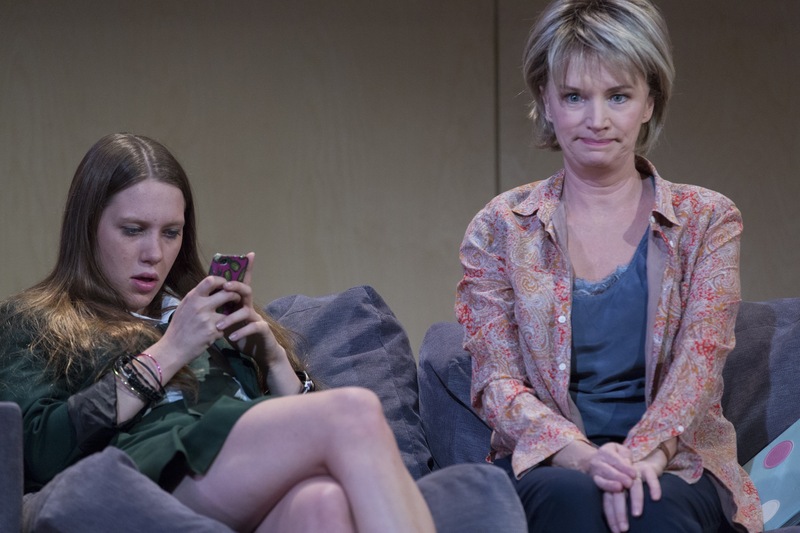 There are two David Williamson plays running in Sydney at the moment – The Removalists from early in his career and a new play, Happiness, which has just premiered at the Ensemble Theatre. They make a study in contrasts. 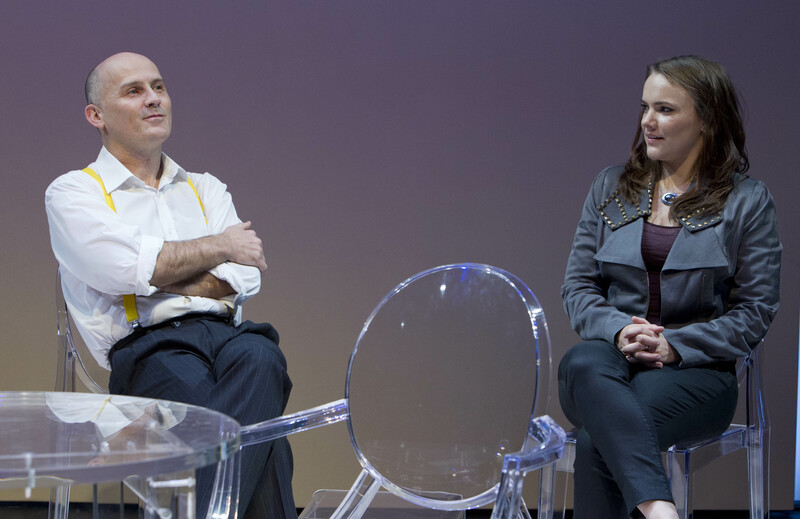 The Removalists is a reminder of what a tough, terrific playwright Williamson has been in his time and why this particular play is considered a classic of Australian theatre. In recent years, however, his plays have become somewhat formulaic: pick a topical subject, find the characters to debate it on stage, and stir in some laughs. Happiness is all this – and one of Williamson’s least convincing plays. Written in 1971, The Removalists launched David Williamson’s career, sending a shock of recognition through audiences with its stark, savage portrayal of the ugly side of Australian culture: the open, rampant sexism, in particular. Forty-two years on, Leland Kean’s terrific production for Rock Surfers Theatre Company still packs a real punch. Blatant sexism certainly isn’t as rife in public life as it was back then, but it ain’t disappeared. Meanwhile, the themes of police corruption and brutality, abuse of authority, and domestic violence feel just as relevant. On his first day in the police force, rookie Constable Ross (Sam O’Sullivan) finds himself under the command of Sergeant Simmonds (Laurence Coy), a lazy, manipulative, sexist bully who prides himself on having never made an arrest in 23 years despite the high crime-rate in his area. When the confident, well-heeled Kate (Caroline Brazier) and her quieter sister Fiona (Sophie Hensser) report that Fiona’s husband Kenny (Justin Stewart Cotta) has been beating her up, the lecherous Simmonds decides they will help her move out while Kenny is at his usual Friday night drinking session. But Kenny returns home early. Kean has wisely decided to keep the play in its original period, using blasts of 70s Oz rock and Ally Mansell’s drab, dung-coloured set with cheap furniture to create the perfect setting. With excellent performances from the entire cast, which includes Sam Atwell in the comic role of the removalist, Kean’s production feels tough, raw and very real. Coy’s Simmonds is a man both odious and deeply ordinary. A school group attending the performance I saw remained attentive throughout, while the boys, in particular, seemed shocked by his behaviour, wincing visibly at his sexist remarks and sleazy bottom-patting. O’Sullivan captures Ross’s naivety and nails the moment he suddenly snaps, Stewart Cotta is a convincingly brutish Kenny yet manages to make us feel something like sympathy when the tables are turned on him, while Brazier and Hensser deliver beautifully detailed, in-depth performances. Kean’s production strikes just the right balance between humour, menace and violence as it builds tension. We laugh but we also cringe and shudder at a classic Australian play that still rings horribly true. Bondi Pavilion until June 16. An edited version of this review ran in the Sunday Telegraph on June 2. In Happiness, David Williamson takes on an interesting, pertinent question: why are Australians seemingly so dissatisfied and unhappy when we have never had it so good? 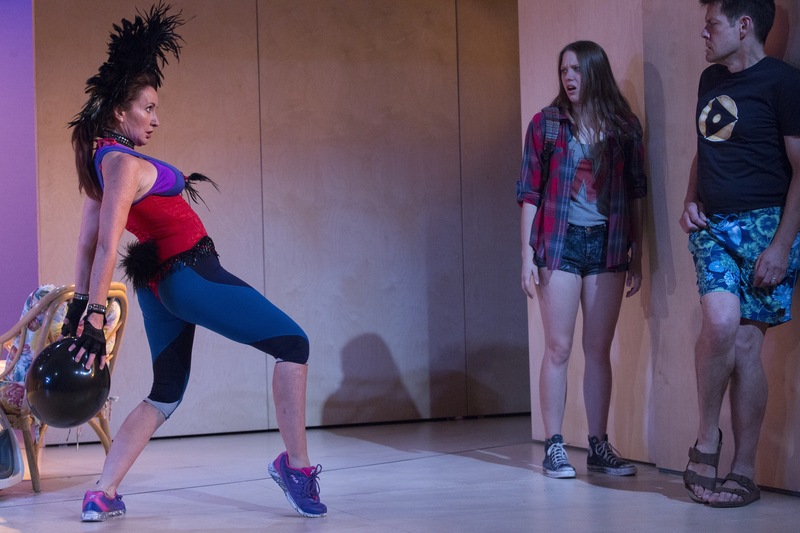 However, the play barely scratches the surface of the idea. It begins with a lecture by Roland Makepeace (Mark Lee), a professor of psychology who specialises in happiness – or “human wellbeing” as he prefers to put it – which sets up Williamson’s theme. However, Roland’s own life isn’t exactly overflowing with wellbeing. His hard-drinking wife Hanna (Anne Tenney) is bitter and forever snapping at him, while his daughter Zelda (Erica Lovell) claims to feel suicidal on occasions. When Roland tries to help Zelda with advice to go out and forgive someone, apologise to someone and do an anonymous good deed, there are all kinds of unintended consequences. Rounding out the cast are Peter Kowitz as a rich, former lover of Hanna’s, Glenn Hazeldine as the editor of a right-wing newspaper where Zelda is an environmental reporter, and Adriano Cappelletta as two of Zelda’s love interests. It’s all pretty unconvincing, while Williamson’s trademark ability to deliver cracking one-liners has also deserted him. Some of the audience laughed along now and then but I hardly cracked a smile. Sandra Bates directs a pedestrian production in which the actors, by and large, do what they can. Hazeldine, Kowitz and Lee deliver the most believable characters, though they are all pretty sketchily written and we don’t particularly care about any of them. It feels very under-developed with more work needed on both the script and the production. That said, as I left the theatre an elderly gent in front of me, who had clearly enjoyed it said, “Good old Williamson”. What’s more, the production is apparently almost sold out – which goes to show how many fans Williamson still has. It’s just a shame he hasn’t given them something better. Ensemble Theatre until July 6. Noosa Long Weekend Festival, June 18 & 19.